We are so happy to be working out of our new offices in Poole… and you are welcome to come and see us! Let us know and we will put the kettle on! We now have a great new space for getting on with the day-to-day business of surveying and managing our clients assets. We are especially pleased to be located so centrally and with the facilities to accommodate our client meetings in a private and confidential environment with ample parking. We hope that the convenience we can offer our clients will bring much satisfaction to us all and serves to support our increasing network of managed assets, both commercial and residential. Our new office is conveniently situated at The Glenmore Centre in Fancy Road (near to the new Poole Audi showrooms) between Poole and Bournemouth. 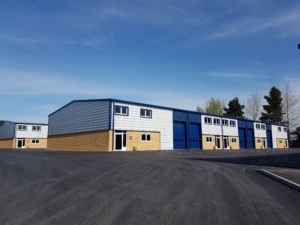 The location gives us the ideal base location to reach our client-base, with easy access to the surrounding suburbs of Broadstone, Wimborne, Ferndown and Christchurch (and everywhere in between of course). Our focus is always on meeting our clients’ needs in a timely manner and with the utmost professionalism. We hope that our move allows our existing and future clients to feel welcome; and to enjoy working closely with us while we grow and continue in our core activities of Surveying, Property & Project Management and Residential & Commercial Lettings – a perfect way to end the year and motivation for the future years ahead.